SUFFIELD, Connecticut – February 3, 2017 – (ArmsVault.com) – Savage Arms recently announced two models of semi-automatic Modern Sporting Rifles to its popular lineup of high-performance firearms. On the AR-15 platform, the new MSR 15 Recon and MSR 15 Patrol are chambered in 223 Wylde, which enhances out-of-the-box accuracy and allows safe, reliable function with both 223 Rem. and 5.56x45mm ammunition. Both rifles redefine the category with the kind of tack-driving precision and seamless performance you’d expect from a Savage. Shipments are currently being delivered to dealers. Savage’s new MSR 15 Recon comes standard with upgrades serious shooters demand, including a BLACKHAWK! AR Blaze trigger, free-float handguard and upgraded Savage barrel with a 223 Wylde target chamber. Its 5R rifling and a Melonite QPQ finish ensure the most consistent, accurate performance in any conditions, while the Recon’s custom-forged lower receiver and BLACKHAWK! adjustable buttstock and pistol grip impart a look that stands out from the crowd. 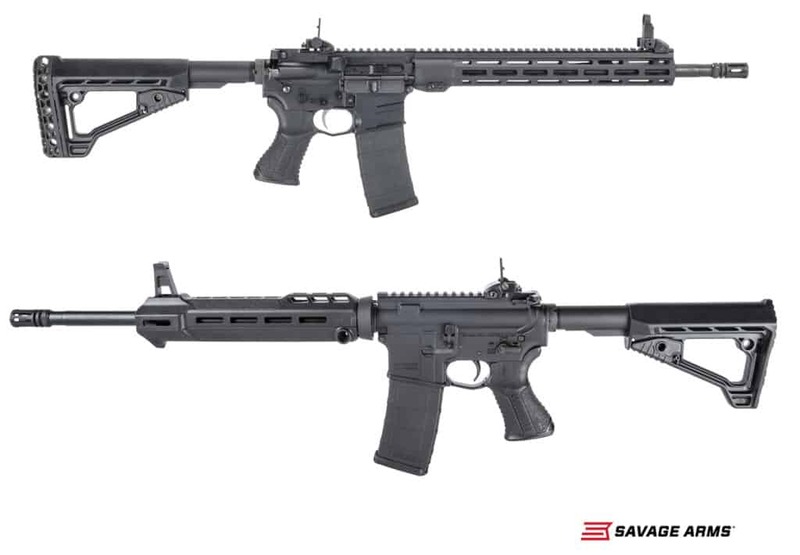 The new Savage MSR 15 Patrol is a step up from the many rack-grade M4 clones popular today. With an upgraded barrel featuring a 223 Wylde target chamber, 5R rifling and a Melonite QPQ finish, the rifle delivers accuracy well beyond mil-spec. A BLACKHAWK! handguard, pistol grip and adjustable buttstock further separate the Patrol from all other MSRs. To learn more about Savage Arms and its new line of MSRs, visit www.savagearms.com/msr.